by Ernst G. Siebebeicher-Hellwig & Jurgen Rosinski. Spiral bound, 8-1/2" x 11", 112 pages. 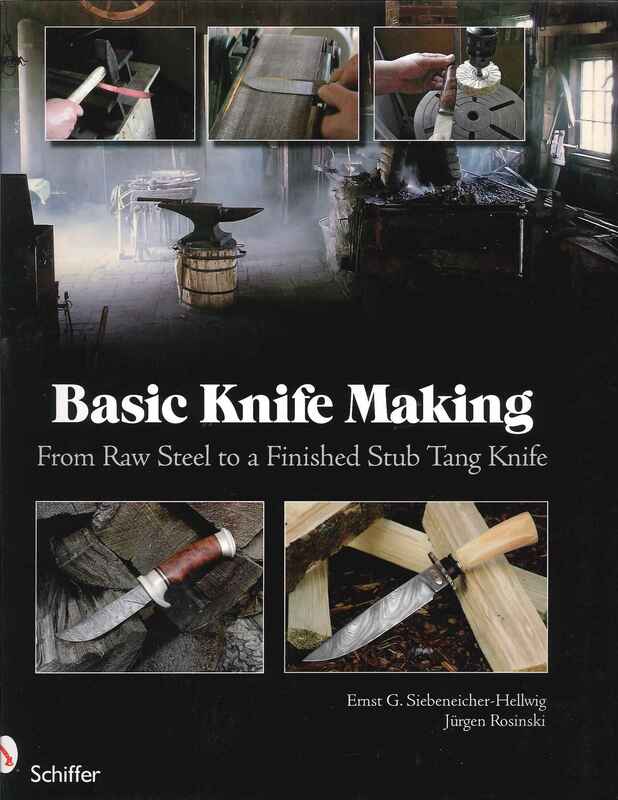 In this book the authors show the simplest and least expensive ways to; *Construct a simple forge *Make all necessary tools yourself *Forge a stub tang blade from an old automobile coil spring *and make a complete knife. Their practical guide demonstrates the most important theoretical basics and shows how simple it can be to experience bladesmithing. Each step is presented in text and pictures with a special focus on forging the blade. Clear list of tools and materials help you through the process. Practical tips, explanation of terms, and sketches round out the volume.